Students in grade 6 attend computer class for 41 minutes three times per week. They have an additional class period each week which concentrates on Science, Technology, Engineering, and Math (STEAM). The focus of the class will be the Engineering Design Process. Students will use the coding skills that they have acquired throughout the years of computer class to program Sphero and Spark robots using ipads. They will also learn to create and program their own games using LittleBits Code kit. Sixth-grade students continue to use the file management techniques that they have learned in the previous years. Files and folders are saved in their home directories on the server. Student's keyboarding skills continue to build as an emphasis is placed on increasing their keyboarding speed. The first part of each class is dedicated to improving the student's keyboarding skills. Students learn to use the advanced features of PowerPoint this year. 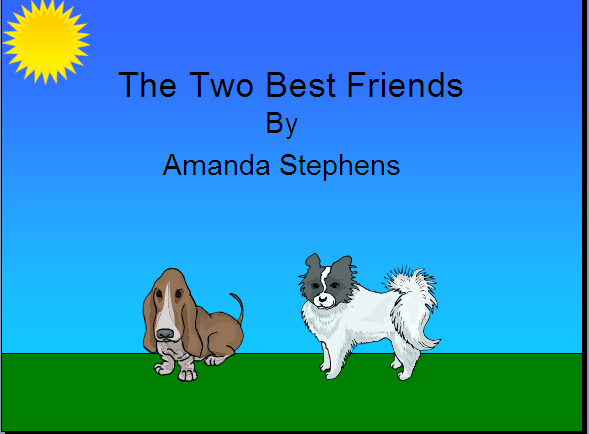 They write and create a picture book short story. Through the use of sound and animation, these stories are both entertaining and teach the younger student audience valuable life lessons. Cyber safety, cybersecurity, and cyber ethics are discussed. Cyberbullying and the Acceptable Use of Network resources are also taught.